Arvee or Indian Taro is a root vegetable; the corm (the root tuber or bulb) is consumed as well as the leaves of the plant. The corm looks much like a potato with a light brown coloring often covered with rough, darker patches of skin. The flesh is off-white and firm, and has a somewhat slimy consistency similar to Okra. 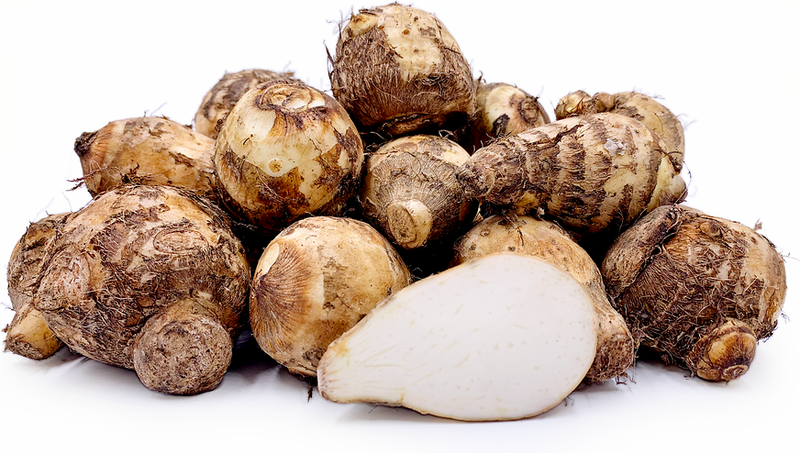 Called Arvee in Hindi, and known in Northern India as Arvi, or Arbi, Indian Taro is also referred to as Sivapan-kizhangu or as Colocasia which is a short form of its botanical name: Colocasia esculenta. Esculent is an English term taken from Latin and means “edible”. Arvee is high in fiber and antioxidants and has a high level of vitamin B complex. In the north Indian state of Uttarakhand and in Nepal, Arvee is considered a health food. To prepare Indian Taro the corm is washed and the skin is peeled. Arvee is most often boiled and fried then tossed in spices to serve as a side dish or alongside various vegetables or rice. In northern India and in Nepal, Arvee is boiled in salted water and cooked down into a kind of porridge. Arvee is commonly seasoned with Ajowan, a seed with a taste similar to thyme that comes from a parsley-like plant in India. Arvee can be mashed, boiled, cut into strips and baked like fries, fried or steamed and served with chutneys, curries or with tamarind sauces. When overcooked, Arvee corms can get mushy. Native to Southeast Asia, Arvee is said to be one of the earliest cultivated vegetables in eastern India. It is grown throughout the tropics and is a perennial plant. Taro is grown throughout the world. Recipes that include Arvee. One is easiest, three is harder.